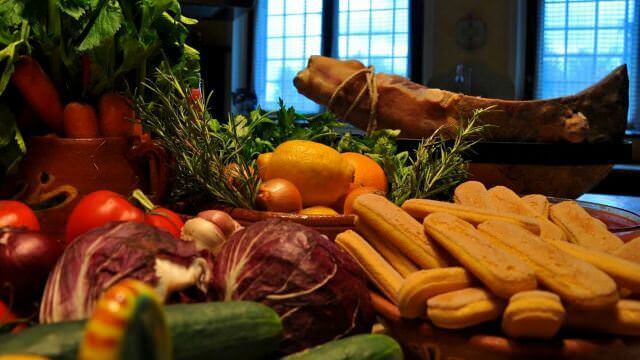 "Wine and Cooking Under the Tuscan and Umbrian Sun"
This was my second trip with Culture Discovery in Soriano and my third trip with Culture Discovery overall; and the introductory tour for my husband and step-daughter. There is an incredible team that supports each location including two guest-hosts, and the kitchen-cooking team. I don't know how any tour could pack in more fun, adventure, and experiential unique aspects than this trip does. Rather than crowd into the large mega-wineries, CDV takes you to small family run wineries where you meet the owners and even have lunch or dinner with them on their property. Where else would you have the opportunity to have dinner in the home of a local Italian, someone who opened her home to us and prepared a fabulous meal although she speaks very little english. The most unique aspect of this tour with CDV is that you stay in an apartment in this mid-evil village, and your neighbors are all Italians (who for the most part don't speak english!). One of our favorite rituals was the daily walk from our apartment through the village to get to the piazza where we had cappuccino and croissant, whilst sitting amongst the locals and listening in on their passionate conversations to each other all in Italian of course! My husband said that experience alone - living among the locals - was a once in a lifetime experience and made the trip worth every penny. The food - well, there is more food than you can ever imagine at every meal. The meals we prepared were incredible! The cooking classes aren't so much about technique and formal cooking, but just as much about sharing an experience among friends while laughing and having fun. If you are interested in technique and aspects of the recipes that have been handed down for generations, Carla is more than willing to share more. In fact, once you return home and try a recipe - if you have questions, she or Katia will respond on FB with answers. I have used these recipes so many times and have shared with family and friends who all rave about the food. The excursions are so interesting and not jammed with tourists. You have attention and focus of a guest host who wants to ensure the overall experience is what you expected. During our week, we had Ilaria and Linda (pronounced Leeeeenda) and they kept us laughing all week long, and very well informed about the places we visited. While during this week there were some 'snafu's' - the whole Soriano team went out of their way to make it an incredible week. You read on the website about the CDV family, and once you're there - you experience it and feel it - and know its real. At the dinner on the first night a group of 12-14 strangers starts off friendly but still reserved, and by the last night everyone feels like they've made lifelong friends, and are in tears knowing the week has come to an end. If you want to experience Italy; get away from the tourists; go deep on the culture; have great food and wine; and have a heck of a lot of fun - this is a tour you'll never forget.